This weekend is shaping up to be a big one for ESA/NASA interplanetary cooperation! Early on Saturday morning, 6 October, central European time, ESA’s Mars Express will look down as it orbits above the Red Planet, lining up its Lander Communication System (MELACOM) antenna to point at NASA’s Mars Curiosity on the surface. 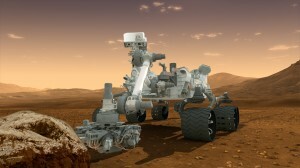 For 15 minutes, the NASA rover will transmit scientific data up to MEX, which will store it on board for a time. Then, two hours later, MEX will line up again, this time pointing its High Gain antenna toward Earth to downlink the precious information to the European Space Operations Centre (similar in role and function to NASA/JPL, but without the glorious California weather – Ed. ), Darmstadt, Germany. 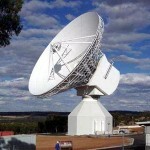 ESA’s first 35-metre deep-space ground station is situated at New Norcia, 140 kilometres north of Perth in Australia. 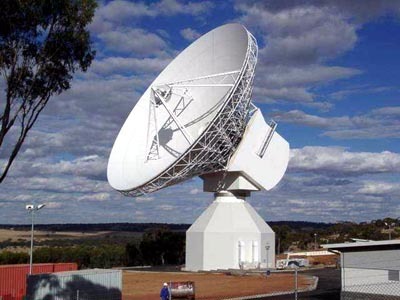 The signal will be received via ESA’s 35m deep space station at New Norcia, Australia, and the data will be immediately made available to NASA/JPL for routine processing. 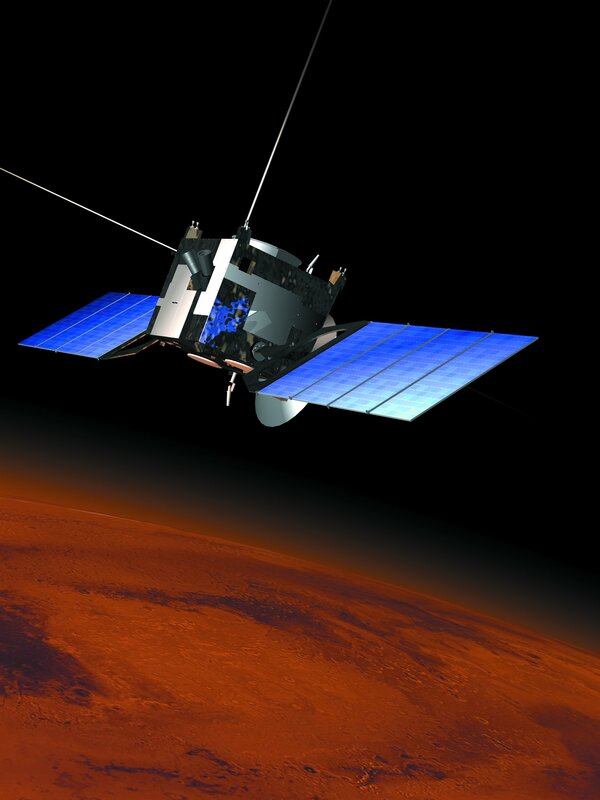 The inter-Agency communication relay service will send, for the first time, actual scientific data from Curiosity via Mars Express; the previous relay services provided to Curiosity have transmitted either so-called ‘open-loop’ signals (no data decoded but did include useful radio Doppler information) during Entry, Descent, and Landing, or only housekeeping data and other basic telemetry during early surface operations. “The command stack to order MEX to slew and point its UHF antennas towards Mars Curiosity during the overflight, to switch the MELACOM radio ON/OFF and to later perform the data download are already programmed on board Mars Express. Our spacecraft is ready to go for this weekend,” Mars Express Operations Engineer Olivier Reboud told me this earlier today. Now here’s the really interesting bit: of all the data that Curiosity might be sending up for relay via MEX (Mars Curiosity carries 10 science instruments plus a drill), it looks as though we’ll be handling at least some images! The RMI provides black-and-white images at 1024X1024 resolution in a very narrow 1.1-degree field of view. This provides images equivalent to a 1500mm lens on a 35mm camera. Wow! 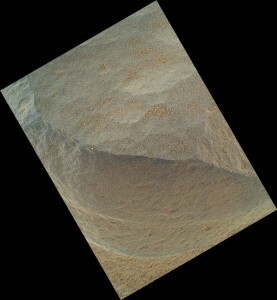 MAHLI comprises a camera mounted on a robotic arm on the Curiosity rover, which is used to acquire microscopic images of rock and soil (a typical MAHLI image resolution is a stunning 21 microns per pixel). The weekend relay will provide further operational confirmation that Mars Express can serve as a back-up relay platform for NASA’s new rover; it has already done so for NASA’s other surface missions (Phoenix and the Mars Rovers, Spirit and Opportunity) in the past couple of years. This cross-support underscores the strong cooperation between the two Agencies, who have worked diligently for a number of years to set technical and engineering standards to enable sharing data, information and telecommand links between spacecraft, networks, ground systems and ground stations, which helps reduce risk and boost back-up capabilities in both directions.